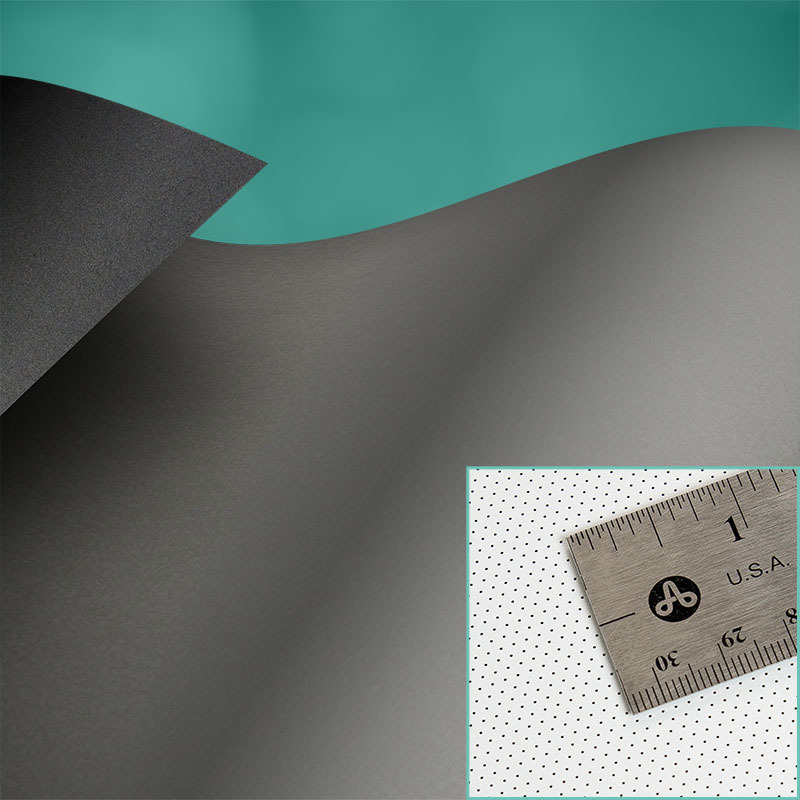 TecVision CS1000X ALR NanoPerf :: Draper, Inc.
A premium ambient light rejecting surface with a 1.0 gain, TecVision® CS1000X ALR NanoPerf features a viewing surface formulated for use in high ambient light applications. 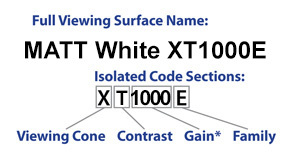 This surface can reject 82% of off-axis ambient light, allowing it to achieve superior contrast in applications with controlled viewing angles. 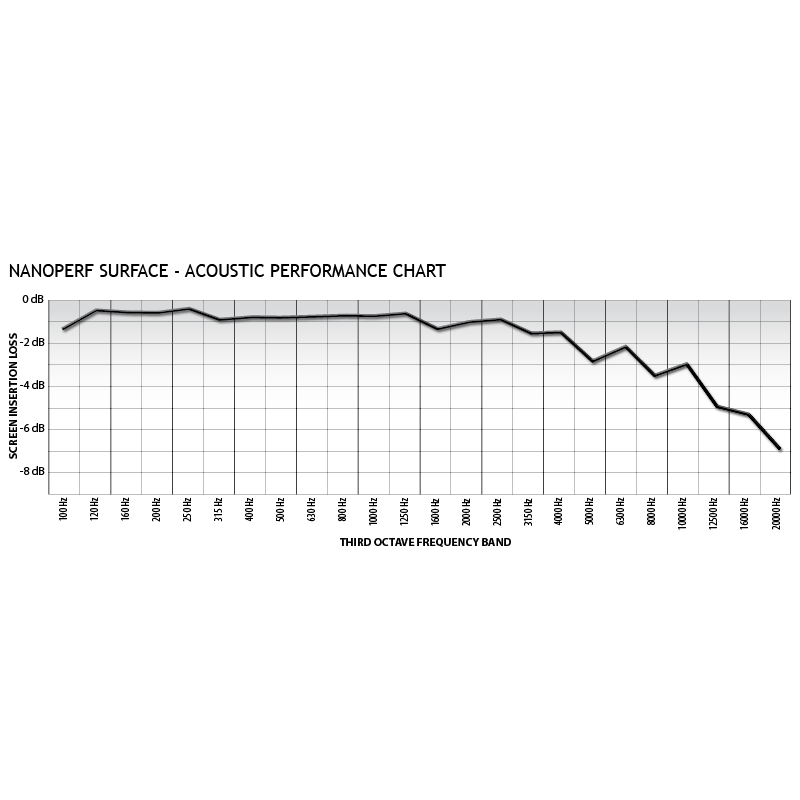 NanoPerf refers to microscopic perforation patterns in a projection screen that allow sound to travel from speakers behind the screen to ensure a quality cinematic experience. 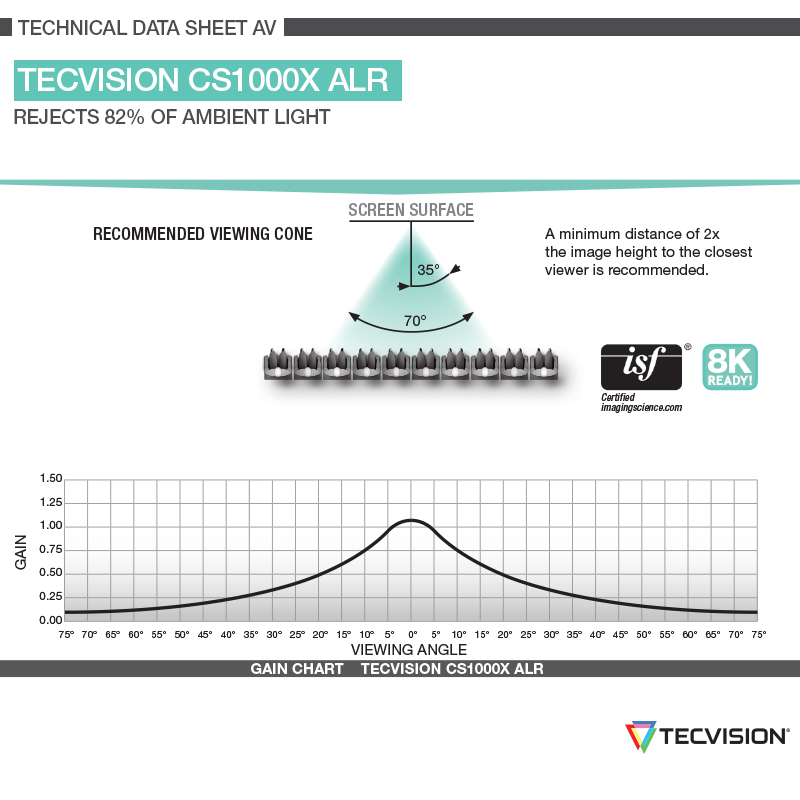 The viewing surface is ISF™ certified for color accuracy and 8K ready to ensure optimal image performance at the highest resolution. Lens/Throw distance ratio for best brightness uniformity: 1.6:1 or longer. 0° Gain: 1.0 Recommended viewing cone: 70°/ ALR: 82%.